Chelsy is our 200 hour yoga alliance certified instructor and fitness enthusiast! Her vinyasa style yoga incorporates both flowing and holding of postures, with an emphasis on breath work. Her all levels classes are intended to help you gain strength, flexibility and balance; in both body and mind. Chelsy provides variations and modifications knowing that yoga should be available to everyone, no matter age or experience or where you are in your fitness journey. She’ll make sure you feel relaxed and rejuvenated! 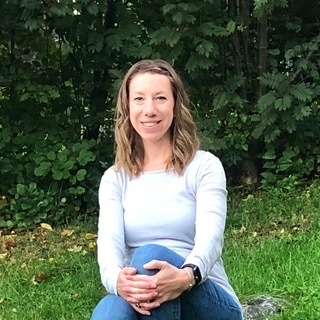 Chelsy has been a middle school educator for seventeen years and has coached track, dance, soccer and loves to put together yoga groups for teens. In her free times Chelsy is hiking, running, kayaking and skiing. She lives in Manchester with her husband and daughter.